The selection and frequency of treatments may differ depending on the patient�s health condition. The final decision will be taken by the Chief Doctor or assistant doctors. - At least 01 person in a room has to compulsorily take an Ayurveda treatment programme for the applicability of the above mentioned packages. - The persons under the age of 16 cannot be included in any Ayurvedic treatment programmes. 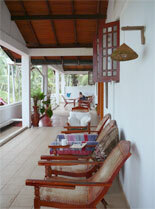 This hotel is a typical Sri Lankan style ayurveda establishment. 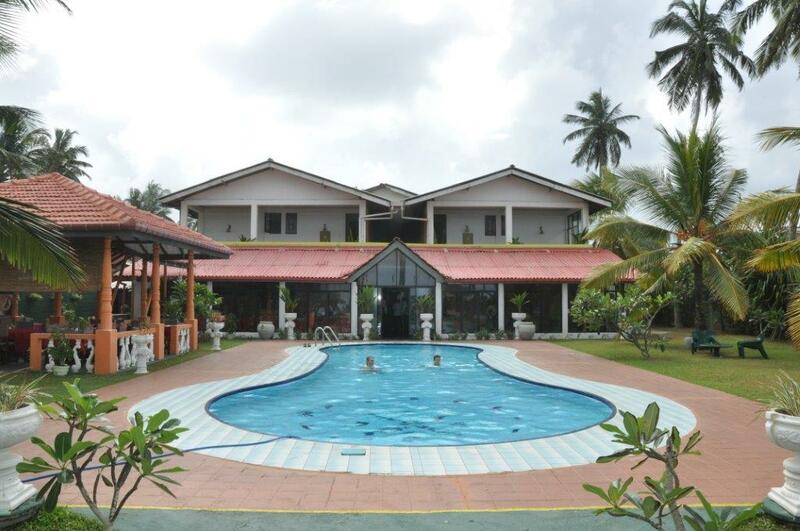 Located in south-west coast in a calm peripheral location right on the beach. In this hotel one must be in a position to engage with the ayurveda environment and people in the village. Experience a holiday with a unique difference at the Life Ayurveda Resort, nestled amongst palm fringed beach of Thalpitiya, Wadduwa on the south-west coast of the island of Sri Lanka. 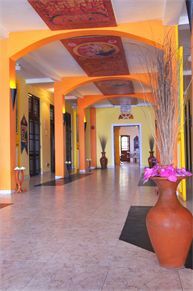 The hotel is approximately 60 km from the international airport and 35 km from the capital city of Colombo. Here you will find limitless opportunities to enjoy life with all your senses. It`s a perfect place to pamper your body. 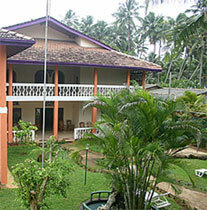 Life Ayurveda Resort is situated amidst a coconut palm garden, is a great hideaway catering for Ayurveda clientele only. The day starts early and ends early - not for the average holidaymaker. Very few establishments are this serious about Ayurveda. 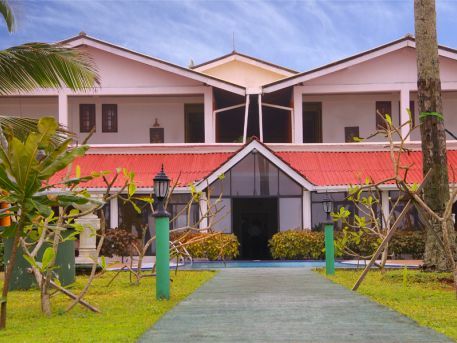 The hotel comprises with two main buildings with Ayurveda center and right on the sandy beach of Thalpitiya, Wadduwa. 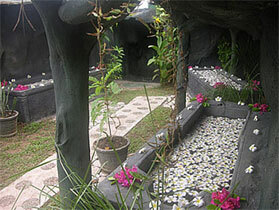 The landscaped garden is quiet and peaceful making it stress free and an ideal place to relax. 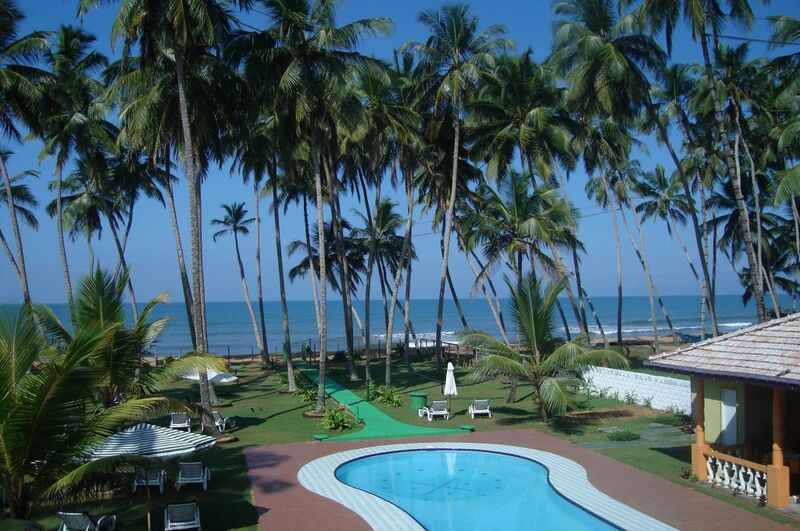 The delights of Wadduwa are nearby with plentiful restaurants, water sports activities, temples and Shop. 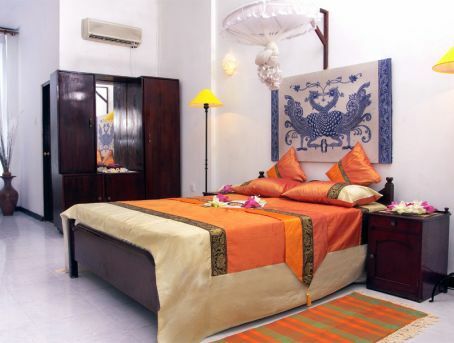 There are 20 a/c rooms overlooking the beautifully landscaped garden and some rooms with side seaview and all have attached baths with hot and cold water, Restaurant serving wholesome natural Ayurveda health food and herbal drinks (no alcohol); small fresh water swimming pool; A yoga and meditation programme to complement and enhance the Ayurveda treatment; Cultural shows for evening entertainment and relaxation; room service; Ayurveda health products shop; laundry service; Foreign currency exchange; IDD and Internet facilities; Left luggage; English and German speaking Guest relation officer will be inhouse all the time and also can be arrange Russian, French & Italian speaking Guest Relation officer for consultation for norminal cost; Library; credit cards. The Restaurant: It serves special Ayurvedic cuisine ( vegetarian ) meals with herbal drinks for ayurveda guests on doctor's recommendation. Ayurveda Centre is designed and operated solely for in house Ayurveda guests and offer a treasure of ancient, time-tested health rejuvenation secrets to rebuild �youth from the inside� using simple, all-natural methods. The centre consist of several specially designed cubicles to administer a variety of therapies. To begin you will be examined by the Ayurveda specialist doctor, who will determine your condition and prescribe your course of treatment, diet, and therapy according to your needs. Then onwards you will be given personalised attention and a team of friendly, well-informed staff will be at hand to serve you. You can enjoy a combination of a tropical beach holiday with a complete revitalising programme. PRINCIPALS OF AYURVEDA AND PANCHAKARMA. The selection and frequency of treatment will vary as per the needs of the individual guest as determined by the Chief Doctor. In general, the programme is a combination of specific Ayurveda treatment, herbal medicines, and Ayurveda diet as individually prescribed. The treatment isolates the harmful substances in the body (the toxins) and eliminates them through the natural excretory organs. Your specific programme aims to balance the three Dosas (VATA- for body movements, PITTA- for digestion and metabolism, and KAPHA- for body fluids and structure) as well your body weight. The Ayurveda course of treatment is augmented with basic Yoga and meditation to give a complete cure of body and mind. All guests are treated to a flower Bath (Pushpa Avagahana) on completion of the course. Our Ayurveda treatment helps to combat many chronic illnesses and at the same time frees you from psychological burdens. Among other things Ayurevda provides astonishingly swift relief in cases of rheumatic diseases such as arthritis, muscle tenseness, restriction of movement, disturbed sleep, nervousness, exhaustion, tiredness, migrane and other forms of headaches, high blood pressure, depression, chronic inflammation such as Para nasal sinus inflammation, bronchitis, inflammation of the bladder, susceptibility to colds, skin diseases, asthma, stomach and intestinal disturbances, over-weight and nicotine misuse. 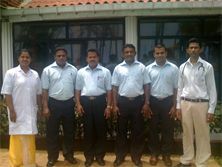 Ayurveda team is well trained with an extensive professional training and experience. 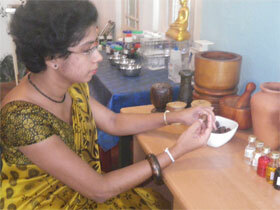 We undertake all traditional Ayurveda treatments. Due to the overlookable size of our health resort the therapists can work with the highest degree of quality and authenticity. 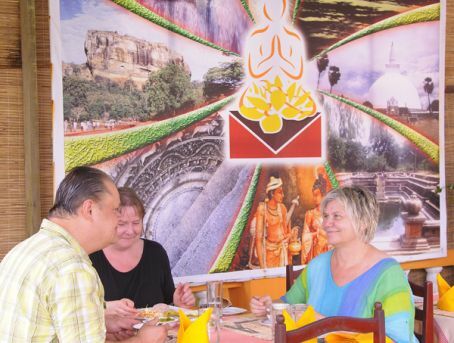 The hotel is approximately 60 km from the international airport and 35 km from the capital city of Colombo.